Mix the Vegetarian No Beef Base, soy sauce, garlic, ginger, water, and cornstarch together in a small bowl. Add the olive oil to a large sauté pan over high heat. 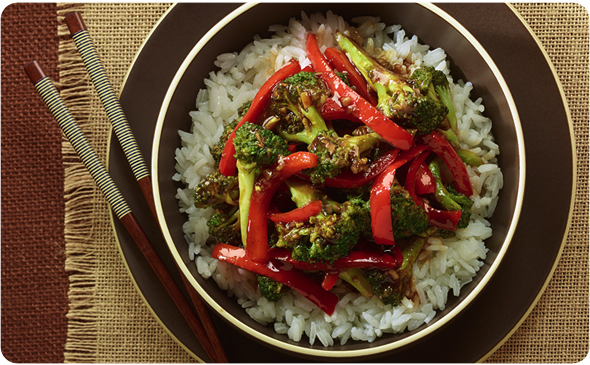 Add the broccoli florets to the pan and cook for 2-3 minutes. Add the bell peppers to the pan and cook for 1-2 minutes more. Add the sauce and cook for 1-2 minutes more or until the sauce thickens.